According to the first ever continent-wide risk assessment, climate change and the increasing number of visitors are putting the Antarctic ecosystems at risk. The research team is focusing on the invasive alien species that find their way here, searching to find out which seeds are being brought in, where they originate from and where they are most likely to establish. Antarctica’s reputation as one of the most pristine environments on earth is being threatened by foreign plants and animals that are unwittingly being brought to the icy continent in the luggage of tourists and scientists. Changing climates are making matters worse, and are making it easier for these plants to establish, to become invasive, and to ultimately disturb the naturally occurring Antarctic ecosystems. This is according to the first ever continent-wide risk assessment done for Antarctica which calculated the chances of the different parts of the continent being invaded by flowering plants that are foreign to its soils. The study, which was a consortium effort of the International Polar Year Aliens in Antarctica project, also showed that scientific teams tend to carry more foreign propagules (detachable structures such as seeds) to Antarctica in their clothing, bags, walking poles, footwear and camera equipment, than do tourists. The higher number of tourists visiting the continent balances out the overall risk among the two groups. The work was undertaken by an international consortium of scientists. The major findings is published in the early March edition of the leading scientific journal Proceedings of the National Academy of Science (PNAS). The lead author is Prof Steven Chown, Director of the DST-NRF Center of Excellence for Invasion Biology based at Stellenbosch University (South Africa). The Center has as its main aim the delivery of science required to reduce the rates of introduction and impacts of invasive species. This study is one of its largest, most successful international endeavors. The implications of the study for the conservation of Antarctic systems will be discussed at the next meeting of the Antarctic Treaty nations in June in Australia. Invasive alien species are among the primary causes of biodiversity change worldwide. “We wanted to assess the risks for Antarctica as a whole too, by finding out which seeds are being brought in, where they originate from and where they are most likely to establish,” Prof Chown noted, while setting out the rationale for the study. In practical terms about 2% of the 33,000 tourists and 7,000 scientific team members who visited Antarctica in 2007 during the first season of the International Polar Year were sampled and asked questions about their previous travel. The process included the fine-combing and vacuuming of camera bags, outer clothing and other baggage. On average, less than 10 seeds per person were collected, though with some significant outliers where scores of seeds were found in one person’s bags and clothing. The sources and destinations of the 2 600 plant seeds collected were identified and mapped. The study found also that half of the types of seeds and plant material collected are from other cold regions across the world that the tourists or scientists visited prior to their trip to Antarctica. “This means that many of these plants have the ability to survive and thrive in the low temperature conditions of the Antarctic, which is worrying,” says Prof Chown. Many of the seeds collected are also from plant families that are known to already have invaded cold-climate regions such as the Arctic and sub-Antarctic. Climate change over the next 100 years in Antarctica is expected to be spatially variable, with most regions of the continent cooling at first and then warming as the ozone hole recovers. Some areas of the Peninsula will continue to warm. 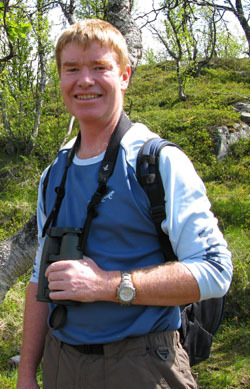 “By keeping current climate data and climate change forecasts in mind, our analyses reveal that the likelihood is high that many foreign species will be able to establish and become invasive, both now and within the next 100 years,” Prof Chown says of the projections that were made based on possible scenarios provided by the Intergovernmental Panel on Climate Change (IPCC). “With climate change, areas such as the Antarctic Peninsula, Ross Sea and the East Antarctic coastal regions will become high-risk areas because it is easier for plants to survive and establish on ice-free ground in these sectors,” Prof Chown noted. Alien species also tend to establish on new, disturbed ground, such as is left bare following the retreat of shrinking glaciers. Several invasive species have already started growing on the Western Antarctic Peninsula, such as the invasive grass species Poa annua. According to Prof Chown, the chances of invasive species establishing at or near South Africa’s scientific base SANAE are quite low, because it is situated in a cold area of Dronning Maud Land. “Also, South Africa has some of the most stringent regulations and protocols in place to curb the unwanted spread of propagules to Antarctica,” Prof Chown says. Many of these protocols have been put in place based on studies and recommendations by C∙I∙B researchers such as Prof Chown and former postdoctoral fellow Dr Jennifer Lee. 1 Comment on "Antarctic Ecosystems Threatened by Invasive Alien Species and Climate Change"
I live in Christchurch, which is one of the departure points for Antarctica. How is it possible that scientists are bringing in these alien plant seeds.. this astonishes me… should not all baggage be irradiated, if these scientists are so lax in their treatment of the Antarctic continent.. I know people at border control at the airport can have their unclean boots seized or cleaned at big cost, if they dare to come in to NZ with suspect material on their person.